Laminectomy, also known as spine decompression surgery, is a spinal treatment in which the part of the vertebrae that covers the spinal canal is removed. This bone, located at the back of the vertebrae, is called the lamina. A laminectomy is done in order to reduce back pain that may be interfering with normal daily activities. These procedures are usually performed when more conservative medical treatments have failed to relieve symptoms. If you suffer from back pain, it’s important that you contact an expert surgeon to receive a proper diagnosis and to review your treatment options. At ProMedSPINE, our renowned neurosurgeons specialize in advanced treatments and spinal surgery, including laminectomy. With innovative techniques and a patient-centered approach, our neurosurgeons are known for providing the best available spinal treatment in Los Angeles. What is Laminectomy (Spinal Decompression Therapy)? Laminectomy procedures entail the removal of the lamina from the vertebrae in order to widen the spinal canal. The lamina is removed in order to enlarge the spinal canal to relieve pressure on the nerves or spinal cord. This pressure may be causing varying degrees of back pain and can usually be alleviated with this procedure. A laminectomy is usually performed on the vertebrae in the neck or lower back. At ProMedSPINE, our expert neurosurgeons utilize minimally-invasive procedures when performing this spinal surgery, allowing the patient to recover faster with dramatically reduced pain. To learn more about a laminectomy, please visit WebMD. Back pain is the most common reason for a patient to undergo a laminectomy. Back pain can range from dull, lingering, annoying discomfort, to severe and debilitating. Lower back pain can drastically limit a patient’s normal functioning, making daily tasks incredibly difficult and painful. When a patient suffering from back pain has exhausted the more conservative options, a laminectomy may become the best course of action. Laminectomy spinal surgery may also be used when treating a disc problem or to remove a tumor from the spine. A common reason for a patient to undergo this spinal surgery is a herniated disc. The discs in the spine can become displaced or damaged due to injury. The disk then pushes against the spinal nerves, causing pain or numbness. The most common symptom associated with a displaced or damaged disc is sciatica, which is a sharp pain that extends down the leg. If alternative treatments are not effective for treating this pain, laminectomy surgery may become an option. Our spinal surgeons possess the expertise required to conduct the laminectomy procedure in the most minimally-invasive way possible. At ProMedSPINE, we perform laminectomy in a very advanced out-patient facility. Because of our expertise and techniques, laminectomy patients have experienced both significantly reduced recovery times and post-operative pain. Physical activity may be limited for a period of time after spinal surgery. Actions such as lifting, bending, or stooping may need to be avoided in an effort to not interfere with the healing process. In most cases, patients are able to go home a few hours after a laminectomy has concluded. Medication will be prescribed in order to control any pain that may be felt following the procedure. Each case is different. The recovery procedure and timeline will vary depending on the operation. Laminectomy procedures can be performed for a variety of reasons, as well as in conjunction with other spine operations. The surgeon will discuss all pertinent information with you regarding your specific case. If you suffer from back pain and would like to discuss the option of laminectomy surgery in Los Angeles, contact an expert spine surgeon today. 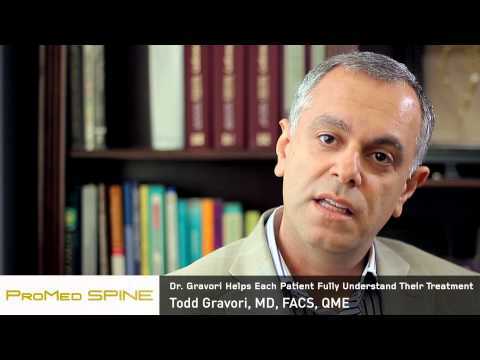 Highly esteemed spinal surgery expert Todd Gravori MD, FACS, QME, lectures around the world, devotes time to educating others in his field, and serves as the source for advancing minimally invasive spine surgery. All of our board-certified neurosurgeons have fellowship training in advanced spine surgery. Our Los Angeles-based practice, ProMedSPINE, is dedicated to the comprehensive, state-of-the-art treatment of diseases and injury within the spine. 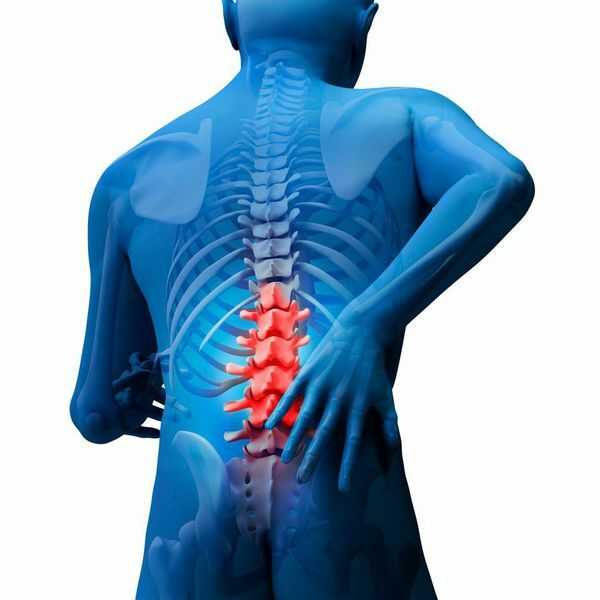 As renowned experts in spinal fusion surgery, our surgeons utilize our extensive knowledge of spinal pathology and the most cutting-edge surgical techniques to provide high quality, patient-centered care. Contact us today to schedule an appointment or to learn more about the spinal surgery treatments offered at our center. Next, learn about cervical spine surgery.